Chiropractic TMJ Treatment – Burbank, Thousand Oaks. Have you tried to stop chronic pain, but haven’t found a solution? Headaches, jaw and tooth pain? Temporomandibular disorders (TMD) often occur as a result of problems with the jaw, jaw joint and surrounding facial muscles that control chewing and moving the jaw. These disorders are often incorrectly called TMJ, which stands for temporomandibular joint. 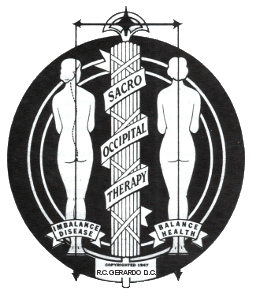 Upper, mid and lower back pain, sciatica? Resume your active and healthy lifestyle. Upper and middle back pain can occur anywhere from the base of your neck to the bottom of your rib cage. If a nerve in this area is pinched, irritated, or injured, pain in other places where the nerve travels can be felt. Neck and shoulder pain can be classified in many different ways. Some people experience only neck pain or only shoulder pain, while others experience pain in both areas. Spinal adjustment may correct these pains depending on diagnoses. Pain in the foot can be due to a problem in any part of the foot. Bones, ligaments, tendons, muscles, fascia, toenail beds, nerves, blood vessels, or skin can be the source of foot pain. The cause of foot pain can be narrowed down by location. Chronic pain in these areas may be caused by temporomandibular joint disorder (TMJ), sleep apnea and cranio-facial problems. The muscular skeletal system is completely interconnected. Sometimes pain is felt in one area, while its cause is somewhere else. For example, TMJ disorder affects the jaw joint, but pain may be felt in the teeth, neck, shoulder, back and even the feet. That’s why the disorder is often called “the great deceiver”. In addition, sleep apnea is sometimes associated with TMJ dysfunction. Obstruction in the airway can cause tension in the jaw, teeth grinding and a subsequent TMJ disorder. Our bodies are designed to adapt and compensate for injuries and illness, but sometimes symptoms and pain persist. Unfortunately, many healthcare providers try to treat the symptoms, but they may not fully understand or treat the cause of the problem. Consequently, pain often returns. During initial evaluations with new patients, we discuss pre-existing conditions and identify any injuries that may have triggered the symptoms. This process helps to determine the course of treatment and the experts who may be needed to help evaluate and treat the problems. The video to the right will help to answer many of your questions about chronic pain. New videos are added periodically to this website, so please re-visit us. I invite you to call our office if you have any questions: (818) 567-0866. Dr. Gerardo has 3 Clinic Locations. At our clinics, we employ a whole-body, whole-person, holistic approach to diagnosis and treatment. We refer to this integrative approach as “Wholistic Care”. Stick to a well balanced diet and stretch & exercise daily (At least 40 minutes per day). We provide expert advice and quality services for all of your body’s needs. We provide help for TMJ, back and other Chiropractic ailments. We have answers to most of your common questions, so feel free to see how we can help you. We have helped many patients find relief through our practice. See what they’re saying. Find out more about Richard C. Gerardo, D.C. and the rest of the team. Check out our Blog for news on TMJ Disorders and Chiropractic Issues. If you have any questions or would like to schedule an appointment, contact us today.